Water is the basis of all life and has been called the “soul of the earth.” Societies have always seen it as their duty to manage water carefully and economically for the benefit and safety of their populations. But can the digitalization of public infrastructure make its operation and planning more economically viable, sustainable and safe: in one word “smarter”? Antibes is a lively resort in southeastern France with a summer population of 250,000, triple the number of city citizens. People are attracted by the flair of the coast, water sports, and the French joie de vivre. For the local government, keeping their water infrastructure efficient and citizens safe is of the utmost importance. Patrick Duverger, CIO for the City of Antibes, is convinced Antibes can achieve these goals, and now has the proof to back it up. 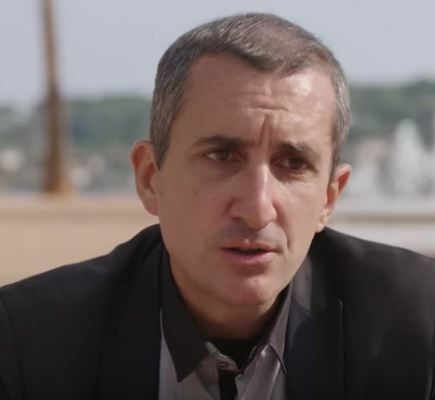 Duverger, winner of France’s innovation prize for the public sector in 2016, is focused on digitalizing the entire city’s infrastructure – including the water distribution system. Whether it’s simple gridlock on the roads, flooding creeks (as in the summer past), or extreme situations, such as the one experienced by neighboring Nice in July 2016, vigilance and fast response are the watchwords in an increasingly unpredictable world. No wonder, therefore, that cities worldwide are redoubling their efforts, deploying cameras, sensors as eyes and ears to provide real-time information 24/7 on the infrastructure’s vital functions. Officials in France are looking to Duverger and Antibes for ways to improve services and ensure public safety, both cost-effectively and securely. Cost-effective, because renewing public infrastructure for the sake of digitalization is prohibitively expensive; secure, because public infrastructure which is vulnerable or can be compromised puts public safety at risk. Duverger (right) has a vision for Antibes. By integrating structured data from city services with the unstructured data from city cameras and social media, he’s creating an interconnected and coordinated high-level view of what’s happening in the city in real time. “Safety and speed have become critical because we need to be able to react quickly to unfolding events,” says Duverger. Antibes’ approach has been pragmatic, based on innovation through experimentation on disruptive technologies. The location of the city adjacent to Sophia-Antipolis, one of Europe’s largest technology parks, has proved beneficial. For three years, Duverger has been partnering with SAP on creating a Smart City Platform. The goal: improve public services while increasing efficiency. Digitalization of the world’s cities relies on the collection and analysis of data – lots of data, from outlying assets and infrastructure such as pipes, electrical lines and roads. With the support of SAP technology, Antibes currently monitors and analyzes the city’s water distribution system stretching 315 kilometers, with over 2000 sensors, aggregating 15,000 data points per hour on parameters like temperature, salinity, chlorine levels, pH, and the pumps and valves that steer the flow of water. Processing of the data is either performed centrally, or increasingly at the point of measurement, the so-called edge. Either way, the entire process – measurement, processing and transfer of the data has to be secure. The end-to-end data security is currently one of the major hurdles to large-scale IoT projects. A public infrastructure without secure end-to-end communications would enable third parties to acquire information about the system or to tamper it. “Without security, you cannot scale into production, security is therefore an essential part of any IoT productive deployment.”, “With the system in place we can detect any intrusion and get an alarm in real time.”, emphasizes Duverger. This is where the close collaboration between Antibes and the engineers from SAP has paid off. The data protection scheme in Antibes, engineered by SAP Research Security at the SAP Labs France in Sophia-Antipolis (see box), is one of the first and most cost-effective of its kind. It ensures end-to end security from devices to backend applications, meeting the technical constraints imposed by low-power networks, while preserving data conﬁdentiality and integrity. Data is transmitted securely to the SAP Cloud Platform for analysis and predictive maintenance – a classic IoT scenario supported by the company’s digital innovation system, SAP Leonardo. The solution helps the city anticipate breakdowns, optimize maintenance schedules and plan future infrastructure investments. The objective is the best service for citizens at the best cost: Indeed, citizens of Antibes pay less than half the national average per cubic meter. Despite the recent advances, Antibes is just beginning to become the model city it aspires to be – responsive to traffic, weather and even to public safety threads. Together with SAP, Duverger wants to apply machine learning to the video streams from 150 surveillance cameras located at key points in the city to detect and react in real-time to certain situations and unusual patterns. Solutions such as the ones in Antibes which monitor public infrastructure and protect citizens can then be replicated in other cities worldwide. The relationship between SAP, and the City of Antibes goes back to 2014, when the city launched a touristic solution which connects the city highlights. 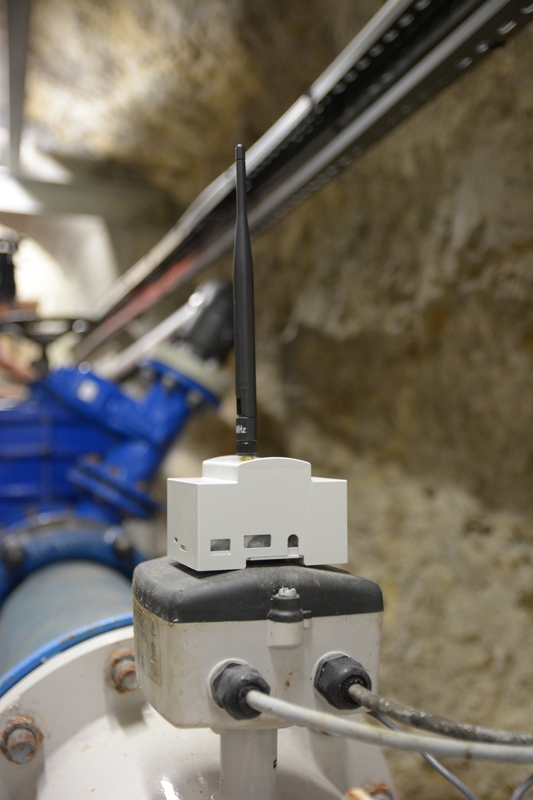 This partnership helped the stakeholders gain experience with connected devices, which flowed into the next project: smart water management, for which SAP Labs France developed a cost-effective, yet highly secure IoT based solution. This engagement, led by Dr. Laurent Gomez, Co-innovation Lead, SAP Research Security (above, left) and Dipl.-Inf. 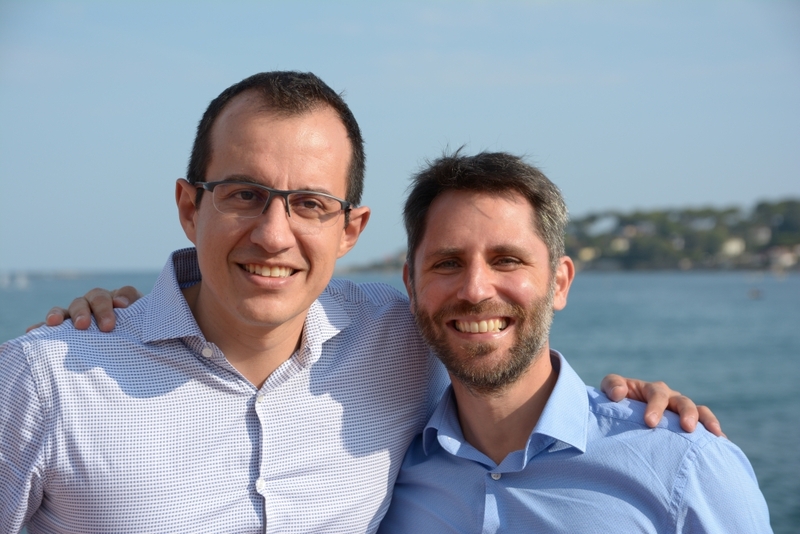 José Márquez, Central Architect, SAP Leonardo (above, right), deployed an agnostic security solution that leveraged the coordinated work with partners delivering state-of-the-art connected devices, low-power networks and technology research. The solution was applied to the existing urban infrastructure and systems. They presented the framework at Leonardo Live, Frankfurt in July, and at the ESORICS Security Conference, Oslo in September. The solution for Antibes put SAP’s data security know-how to practical use in a real-world scenario, leveraging encryption across the entire verticality, end-to-end, regardless on the device and connectivity technology. But even more important, Antibes served as a model for highly secure IoT-based solutions across low-power landscapes – a requirement in virtually every industry-scale IoT project.